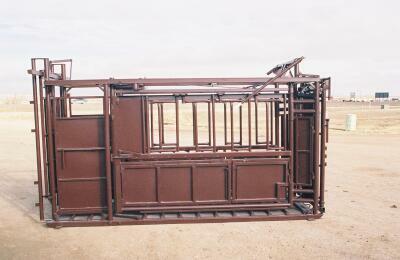 Our Cow Country squeeze chute is made to be extra heavy duty. It comes complete with automatic head gate, rumbar floor, and standard palpation doors. we've also included a neck access door, swing out lower doors, and a rear split side tail gate.